We’ve just released a sizeable bug-fixing patch for version 0.0.8. 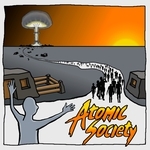 To get the patch you will need to download Atomic Society again from your game library on Humble Bundle, or use the link in the email receipt. New customers don't worry, you have the fixes already. Warning: The number of fixes in this patch means it isn’t compatible with existing save games! So only download it when you’re ready to start anew. PS) Thanks to players who emailed me bug reports with useful info. The next big update for the game (version 0.0.9, already underway) is coming next, in the Spring. Dev blogs will keep you informed on what we're cooking up for it. Fixed: Issue where Town Leader would sometimes refuse to enter a building to salvage/deposit. Fixed: Enforcers getting stuck sometimes while escorting criminals. Fixed: An issue that could sometimes cause the Town Leader and to run back and forth, especially at low frame-rates. Fixed: A bug that could cause the AI to wander off course if they had to walk a long distance. Fixed: A bug that occasionally stopped construction workers from entering if the Town Leader was already building the structure. Fixed: Construction workers potentially getting stuck if you cancelled a construction with them inside it. Fixed: Scaffolding was not always correctly aligned with the rotation of the building. Fixed: A bug that could cause citizens to cut the corners of buildings. Fixed: Tooltips glitching out if you moused over a building in a certain way. Fixed: A bug where certain one-off messages, like “you have imprisoned your first citizen!” etc would repeat after loading. Fixed: A potential rare crash that occurred if you loaded a save while one of the scrolling orange messages was on screen in a certain position. Fixed: Construction percentage icons floating in the sky if you converted an empty ruin. Fixed: A rare bug that let you convert a ruin multiple times (confusing the heck out of builders) if you saved and loaded while the process was under 50%. Fixed: Fixed 2 potential code issues that could occur on loading and might cause framerate loss due to error spam in the code. Improved: Added a new message to the Town Leader’s inventory when Scavenger Focus is enabled to explain why scavenging might be taking longer than usual (because the Leader is searching for an item that is rare in this ruin). Improved: Saving times improved again.